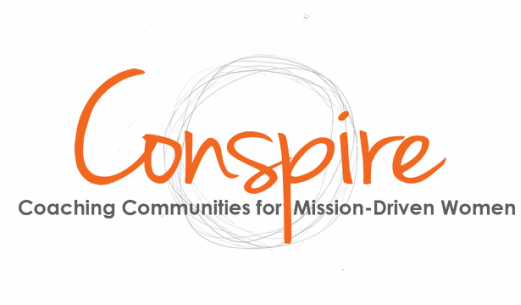 Sincee 2014, Conspire Coaching & AVODAH: The Jewish Service Corps & Conspire Coaching has teamed up to offer a version of Women Leaders Emerging (Called AVODAH Women Leading Together - AWLT) to over 60 Jewish women committed to social change work. The program was infused with seminars on Jewish social justice themes that aligned with the monthly coaching themes in Women Leaders Emerging. BrandMirror is our strategic partner for being up-to-date on how to support our members in managing their online presence. Conspire clients don't really love thinking about themselves as "brands" but Jen Dalton from BrandMirror helps us get over our queeziness and take control of ensuring that who we are and what we want to achieve in the world shows up powerfully online. We're thrilled to be one of five organizations featured in a webinar series organized by Mommy Track Fitness about Post Natal Depletion. Conspire's Jen Walper Roberts Many women are unknowingly impacted by "postnatal depletion", a term coined by Dr. Oscar Serrallach, to describe the physical consequences in women after childbirth. As moms we often feel tired, overwhelmed, or burned out. The problem is we've come to believe that these symptoms are just the by-products of being a great, hardworking mom. They're not! Join us for our summer MOMinar series and learn more about postnatal depletion and how to offset it with a healthy lifestyle. We'll dive into the four pillars of health -- sleep, purpose, activity and nutrition -- and their importance in being a happy, healthy mother. Because this series focuses on self-care for women, it is ideal not only for mothers, but also for women without children, particularly those who live a busy lifestyle. Jen Walper Roberts was featured in HerCorner's December 2013 Newsletter. HerCorner is an awesome peer coaching group for women entrepreneurs. Jen is a member. "What makes Jen this month's 'Woman We Admire' is her "Emerging Women Leaders" program. As we all know, Sheryl Sandberg did a beautiful job of relaunching the conversation to encourage women to lean in and continue their push towards leadership positions in the workforce. And LeanIn circles are a great way for women to begin these important conversations. But sometimes, facilitation from an expert can make all the difference, especially when the topic is about leadership and the skills that women need in order to get where they want to go"
One (amazing) client received a microgrant from the Shusterman Foundation for her one-to-one coaching work with Conspire Coaching. She blogged about her experience. At first, I was struck by the repetitiveness of this model. In today’s world, we put our needs out there and move forward, and we rarely repeat ourselves a second time, let alone a third time. I have now come to appreciate this approach. Jen helped me hone in on what I am seeking and she asked me the important questions such that I took the steps on my own. She has made me a stronger manager and has helped me clarify what I am seeking out. I can see tangible progress from my work with Jen and I am appreciative that I have been able to use her professional services, through the Micro Grant. Her guidance helped refine my management and leadership skills. Others have approached me and noticed differences in how I handle myself in the workplace and I notice differences in myself. Women Leaders Emerging (WLE) Alumna and coach Sarah Crowell is also an alumna of the Lutheran Volunteer Corps. Her experience in WLE was recently featured in the LVC alumni e-Newsletter. She shares her experience gaining support and clarity first in LVC and then in WLE. Check it out!